Physiotherapist Megyn Robertson will be overseeing clinical interventions and research into cases of concussion that become chronic, have significant balance disturbances or require neck treatments. Megyn Robertson is practice owner and clinician for Well Beings Physio, in Craighall Park, and has run the practice for the last 3 years. She is a member of the Health Practitioners Council of South Africa (HPCSA), South African Society of Physiotherapy (SASP) and Irish Society of Chartered (ISCP). Megyn is also a member of the South Gauteng OMT Committee and assists in the running of the 2017 post graduate course as well as lecturing part time. In 2016, Megyn discovered a new interest in concussion and the role physiotherapy has to play in the assessment, management and treatment of post-concussion syndrome (PCS). She now works in conjunction with Dr Jon Patricios with the intention of becoming a specialist vestibular and OMT physiotherapist in rehabilitation of PCS injuries. 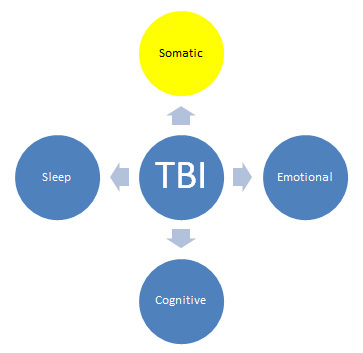 Symptomatology in head trauma: There are 4 basic categories of impairment and typical symptoms associated with traumatic brain injury (TBI): namely sleep, cognitive, emotional and somatic. The role of the physiotherapist is predominantly somatic with respect to dizziness, imbalances, headaches, nausea, sensitivity to light and sound and neck pain. My rehabilitation protocol is a Problem Oriented intervention incorporating musculoskeletal intervention as well as vestibular rehabilitation techniques. The patient is treated for any signs of cervicogenic dizziness or headache a result of the trauma to the musculoskeletal system. For e.g. O/C1/C2 dysfunction, TMJ and muscular tightness, strengthening of DNF and global head/neck structures. Exercises focus on improving gaze stabilisation and eye-head co-ordination within the patient’s tolerance. Oculomotor training is used to treat saccadic or smooth pursuit deficits in his/her enviroments. Exertion intolerance is common in mTBI. Patients who present symptomatically with exertion are given an individualised, controlled sub-symptom threshold programme (usually measured by heart rate). Rehabilitation includes exercises that are more large amplitude, fast movements are used to treat motion sensitivity, with gradual introduction of head motion with trunk motion or whole-body motion retraining. To test how a patient’s ability to hold their Centre of Pressure (COP) on a moving target that circles around a neutral balance point. Results report on the percentage of time the patient holds their COP inside the moving target. The goal is for the patient to move the round cursor (their COP) to the highlighted target. After the patient remains in the target for the hold time, the system turns the target gray and moves to the next target. The patient moves between the centre target and each surrounding target in a random order.